Inside Cover Image - Sandra who was married to long time Maitre D' Eddie Tatton. 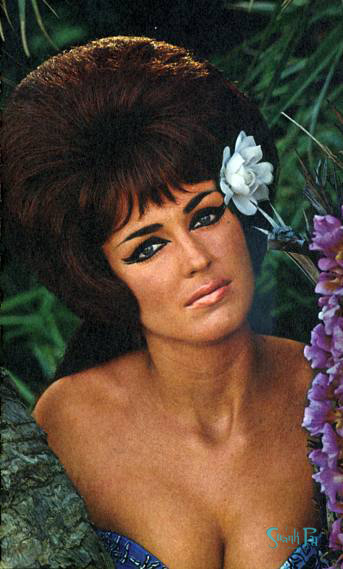 January 1966 - Ann Campbell - More on her here and in the Fall 2011 issue of Tiki Magazine. February 1966 - Lorie - Word is that Lorie was the first blond "light red" Mai-Kai girl. June 1966 - Mireille - Became wife of original owner Bob Thornton in 1974. She became the choreographer in 1962, and still serves that role today. August 1966 - Ellen who started in 1958 after all the waitresses were fired for coming in drunk. November 1966- Dee - Came to Fort Lauderdale with her sister Angel in1959 and met fellow Chicagoans the brothers Thornton. They were offered a job and went home and packed and came back to become Mai-Kai girls! 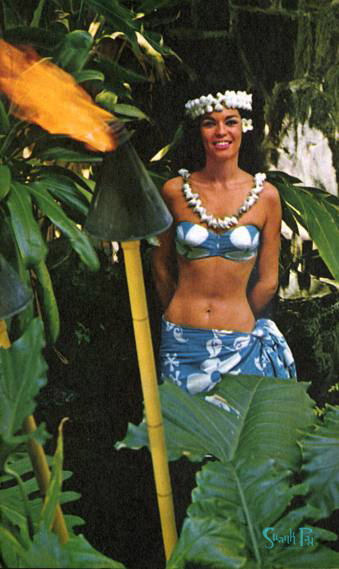 December 1966 - Andree - Mai-Kai Islander dancer who was married to Heitapu, another performer there. Sister to Leila and cousin to Liva. Her aunt Anna Chevalier was a movie star in Tahiti and was in Tabu, The Hurricane and The Black Pearl.